Imagine that you live in Iowa and get pulled over by the police. Asking you to roll down your window, the officer asks to see your proof of insurance, vehicle registration, and your smartphone. Your smartphone? Is it against the law to operate a certain smartphone brand in the state? No. 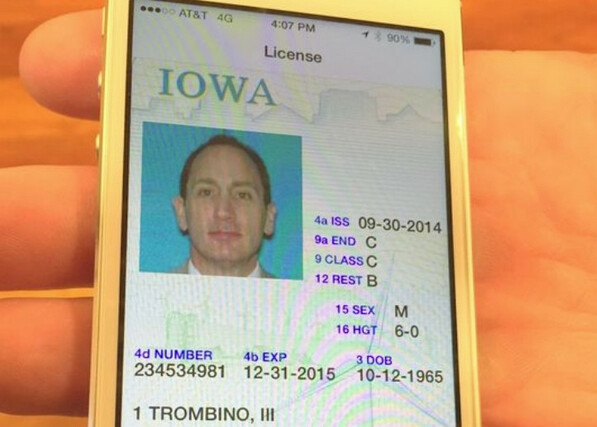 But what the state does have up its sleeve, is a way for Iowans to have a facsimile of their driver's license appear on a smartphone. A mobile app will be available for free from the Iowa Department of Transportation. PIN numbers will be used to verify identities. This would seem to be the next natural step up for Iowa. The state is one of 30 that already accepts electronic proof of auto insurance, making it easier for those pulled over by a cop to find their insurance information. Iowa's DOT has turned to modern technology to make improvements. Snowplows now feature dashboard cameras, and the agency is turning to paperless construction projects. The smartphone driver's license will be accepted at traffic stops, and will be counted as valid identification at the airport. Drivers who are more resistant to change can still decide to carry an old fashioned driver's license in their wallet. Iowa says that if this proves to be a success, it will use the technology for some other state licenses. That was my thought, too, albeit the second one. My first thought was to have running a hidden video app. Bad idea. Notwithstanding simple issues like your phone running out of battery, do you really want to hand a cop your unlocked phone? This gives them basically every right to rummage through it. * Note, just because I don't want others snooping through my stuff and I believe in privacy does not mean I am anti-cop or that I am doing something illegal. We have the Constitution in place for a reason. Not to mention someone will find a way to easily make fake licenses. I'd much rather have the plastic instead of having my phone subject to a search at a cop's discretion. So they can confiscate your phone? This is stupid! You are a RETARD, if you hand a police officer your unlocked phone! Everyone has something to hide, especially those that don't even know it. People nowadays don't even hand their phones over to their significant other, let alone strangers. Here's a better idea, how about the state allows an option to print physical drivers licenses, with Matrix (2D) barcodes on the back with insurance and ownership information on it? Stop taking naked photos whit your phone. I don't see why this would be a problem for iPhone users. Apple could make your drivers license a part of Passbook. 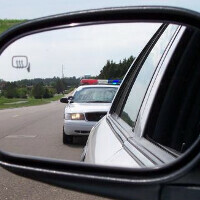 This way you could give the Police Officer your drivers license all while your phone is locked! I love this idea. I could finally leave my wallet at home.